Worries about interest rates rising earlier than anticipated sent Wall Street lower Thursday, but GoPro flew high on its first day of trading. Comments by the head of the Federal Reserve Bank of St. Louis rattled investors. 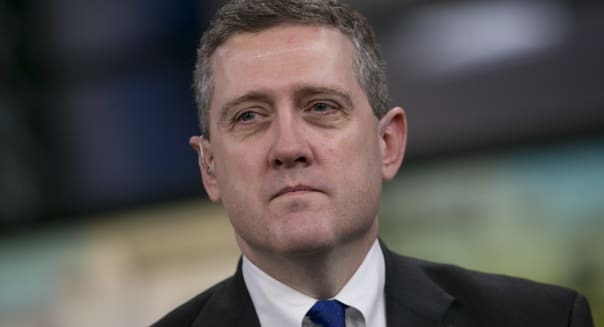 James Bullard said he predicts rates will begin to rise by the end of the first quarter of 2015. And there was more bad news. Economists lowered their growth forecasts for the second quarter, citing weak consumer spending. But GoPro (GPRO) soared on its first day of trading. Shares of the initial public offering were priced at $24, and closed the day at $31.35. That's a gain of 30 percent from the IPO price. Other top gainers included storage and information management firm Iron Mountain (IRM). Its shares rallied 20 percent after the IRS gave it approval to convert itself into a real-estate investment trust. And Nabors (NBR) was also a winner up 6 percent after agreeing to sell its fracking unit for $2.8 billion to C&J Energy (CJES). Aluminum giant Alcoa (AA) gained 2.5 percent, on news that it's buying aircraft parts maker Firth Rixson for $2.8 billion. It's been a stellar year so far for the stock -- it's up 40 percent since the beginning of 2014. And ConAgra (CAG) known for its Slim Jim beef jerky and Hunt's tomato ketchup rose almost one percent on quarterly revenue that beat the street. But Bed Bath & Beyond (BBBY) disappointed on earnings and lowered its outlook, sending the stock lower by 7 percent. 2014 has not been kind to its shareholders. The stock is down almost 30 percent year to date. And finally, the U.S. shares of European banks got hit on news New York's Attorney General is suing Barclays for failing to warn its clients about the presence of high-frequency traders in its dark pools. Barclays (BCS) shares were down more than 7 percent, UBS (UBS) fell almost 2.5 percent and Credit Suisse (CS) was off by 3.5 percent. The University of Michigan releases its final survey of consumer sentiment for June at 9:55 a.m. Eastern time. For small costs that can quickly add up over time -- like that daily latte habit or weekly apps and music purchases -- consider buying yourself a gift card and load it with a set, budgeted amount at the start of each month. Then go ahead and enjoy those treats until your card runs out. "This makes it easy to keep track of small, daily expenditures," says Natalie Taylor. "Plus, it feels more special and guilt-free when you're paying with a gift card." If you're just starting to share in financial decisions with a significant other, Stephany Kirkpatrick suggests keeping a "slush fund" bank account into which you each set aside money every month to use for one or two joint expenses. "You can use this to pay for date nights, a vacation or a bigger purchase you want to make together," she suggests. "It helps take away the burden of wondering who is going to pay for certain things -- and it's a great way to get your feet wet when it comes to joint finances." After a few months, you can graduate to contributing enough to the account to cover larger household bills if you live together, and before you both know it, the concept of combining your finances probably won't be as overwhelming. "So many people get talked into buying extended warranties on electronics or insurance on their cell phones," says Tom Gilmour, who tells his friends to skip these purchases and use that money to buy term life insurance and disability insurance instead. David Blaylock agrees. "Life and disability insurance are often overlooked and shouldn't be," he says. "For most of us, the greatest asset we have is our ability to earn income. If we become sick (or die) and we lose that ability, it can be financially devastating. I see clients all the time who have these benefits available to them through their employers and simply haven't signed up for them." "Jot down all of the things under $30 that are little, feel-good splurges -- and when you need to treat yourself or someone special, pull from this list," Kirkpatrick says. "Whether it's frozen yogurt, an impromptu yoga class, a few copies of recent New York Times best sellers or a nice bottle of wine, $30 can give you the happiness boost you need -- without derailing progress you've made on your financial goals." "I recommend prenups and postnups," says Brandie Farnam. "If you think about it, people are most inclined to be fair and equitable when things are happy and stable in a relationship -- not when you're fighting for things while parting ways." She notes stay-at-home moms need to protect themselves financially if they opt to leave the workforce for an extended period to raise a family. Thinking of having a baby and trying to decide whether you can afford for one parent to scale back at work or quit altogether? Farnam tells her friends to completely bank the income they're thinking of dropping (or reducing) for six months -- and rely on the other salary to cover expenses during that period. "This will give you a sense of how it'll feel before you make such a huge, potentially irreversible [career] decision," she says. Speaking of kids, Gilmour tells all of his new-parent friends to consider setting up a 529 plan -- even if they can't afford to start saving for college themselves. "You can use it to deposit monetary gifts received from grandparents, aunts, uncles and friends." Taylor tells all of her friends to consider opening a "fun account," so they can splurge without guilt every once in a while. Taylor and her husband used their own fun account to buy a used elliptical machine, pay for a private Pilates trainer and go on a post-maternity wardrobe shopping spree. If it works for your budget, "Dedicate a certain percentage of your income and all money windfalls, like bonuses, to put into this account," Taylor suggests. "10 percent is a great place to start." You may be able to accomplish the same idea the old-school way too. "One of my friends was able to treat a few of us to a poolside cabana when we were on vacation because she'd been putting small bills into a 'fun jar' for guilt-free splurges just like that," Farnam says. Don't want to hire an investment adviser or don't have the confidence to manage your own portfolio? "Consider using an all-in-one asset allocation fund to help ensure you always have a diversified asset allocation," says Elizabeth Sklaver. "When buying investments, be sure to check your firm's [no-transaction-fee]/commission-free list, so you're not paying fees you may have avoided. If you are contributing regularly and paying a fee for each trade, it may be worth it to switch firms." Staying home to raise the kids? If possible, you should still be saving for your golden years, notes Kirkpatrick. "I tell my girlfriends that if they choose to leave their jobs, they should maximize a Spousal IRA or Spousal Roth IRA," she says. "This way, retirement savings is accumulating in their name, in addition to what their spouse saves for the future." Kirkpatrick says she's amazed by the number of people who skip the simple step of filling out a beneficiary form for their retirement plan or life insurance. "Since a beneficiary form is a substitute for a will, this is a critical document that allows money to transfer to a beneficiary directly -- without the overhead or complexities of probate," she says. This can become especially important, if you aren't married or if you want someone other than your spouse to inherit your money. "Just remember that if something changes -- say, you get married or divorced -- you need to update paperwork everywhere." Remember to donate some of your hard-earned money. "People who set aside money to support various organizations live richer lives," Blaylock says. Choose an amount you can afford to donate each year -- and consistently give it away. "I hear people say that they will give when they are older," he says. "But I find that those who don't get into the habit of giving early on rarely become charitable." Yes, your eyes may glaze over when you're reading the fine print. But really understanding what's offered to you can help you take advantage of any "free money," like a 401(k) matching program, health savings account, gym discount or a pretax commuter benefit, says Gilmour. "Also, if you donate to charity," he says, "many large companies are willing to match your gift, which helps your dollar go even further." Planners say they are shocked by how few people have a budget. Blaylock says that you should start by asking yourself these key questions: How much are your monthly fixed expenses? How much are your variable or flex expenses each month? How much is your net income? Armed with the answers, you can then sit down to map out a monthly budget that can help keep you on track for your financial goals.